Doreen's new book is a lazy anthology of poems, prose, scribbles and photographs which set out to prove - beyond reasonable doubt - that the world has indeed finally gone saft. Oh well, all we can do is just loff about it. 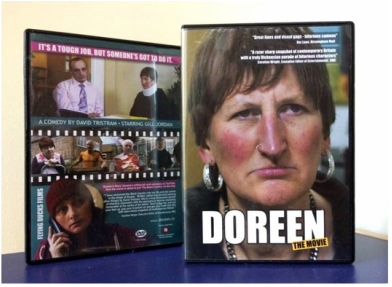 "Doreen's views on everything from Benefits Street to the Queen. A great funny read from a real Black Country character." From Rug-Rats to Riches is now available in paperback. Doreen sets off on a bold voyage of discovery in her beloved Black Country - her very own ‘Grand Tour’. The results are... well, pure Doreen. "Told as only a true Black Country wench can, this is the kind of history and geography lesson that we can only dream of. 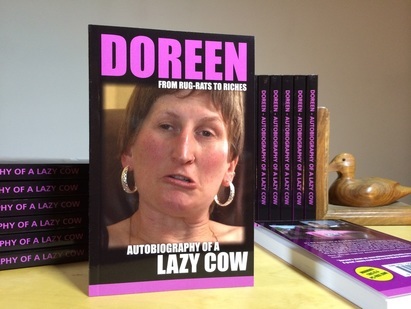 With complete irreverence, a heart-felt fondness and lashings of Black Country humour, Doreen offers her own unique take on the people, places and rich heritage of the region. The Radio Doreen 'Jolly Roger' T-Shirt is a white Fruit of the Loom premium heavyweight cotton garment, which comes in four sizes - medium, large, XL and XXL (which doubles as a handy night shirt). Please allow up to 7 days delivery at busy times. Postage and packing of £2 per garment for UK is automatically added at checkout. For overseas orders please email doreen@radiodoreen.com first to check postage. If you want more than one, quantities can be changed at checkout. ​"We all know that choosing the right card is a pain in the arse - so now you don't have to. 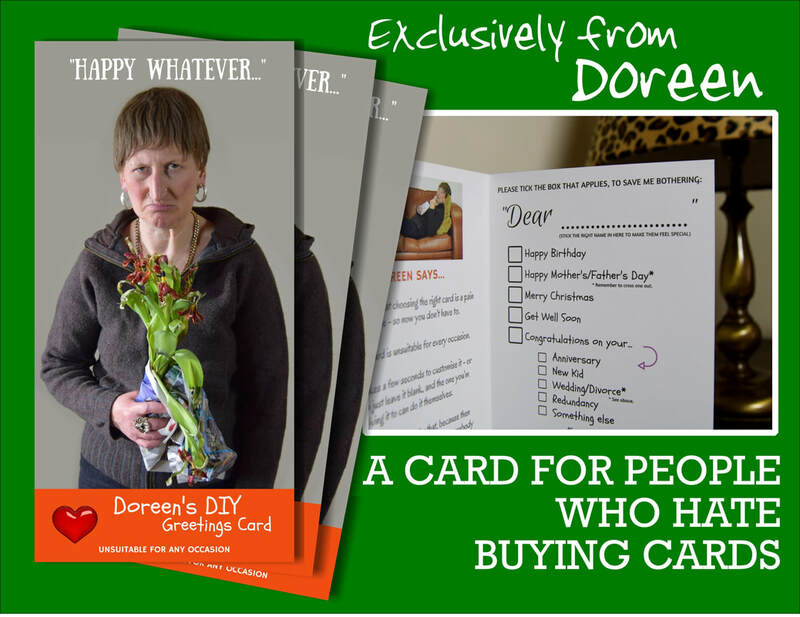 Doreen's DIY card is equally unsuitable for every occasion.It only takes a few seconds to customise it - or you can just leave it blank, and the one you're giving it to can do it themselves. Actually, they might prefer that, because then they've got the option to use it for somebody else, to save them buying one. Then, this unique card doubles as a gift. From the writer and producers of the Doreen Movie comes another legendary character. 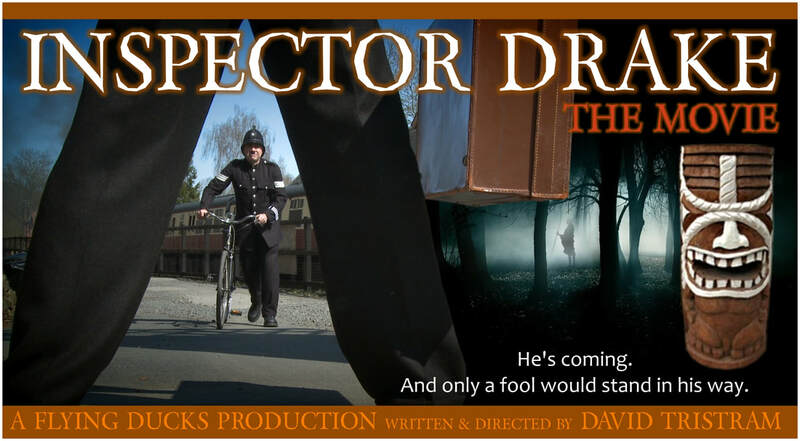 In Inspector Drake's surreal world, anything is possible. 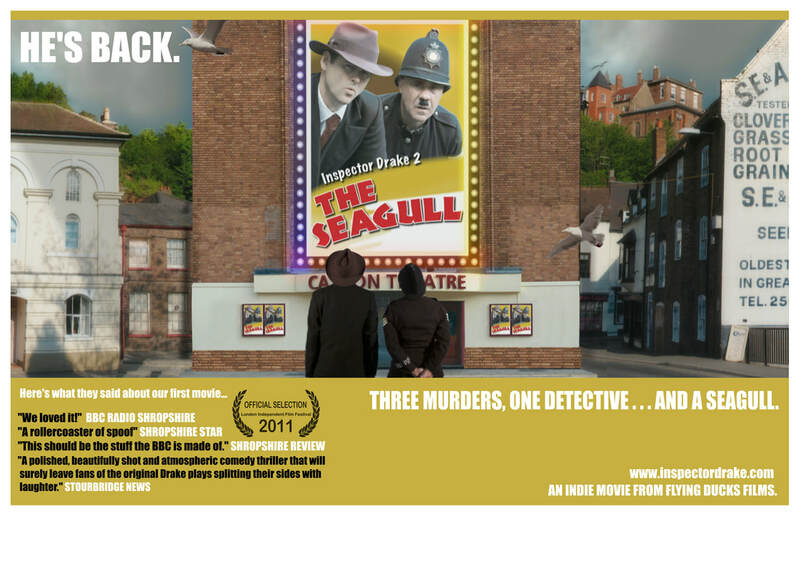 "A polished, beautifully shot and atmospheric comedy thriller that will surely leave fans of the original Drake plays splitting their sides with laughter." "This should be the stuff the BBC is made of." There are two movies to choose from - the original or the sequel - and there's a special bundle offer of both movies. Make your choice from the drop down box - movie prices INCLUDE postage.